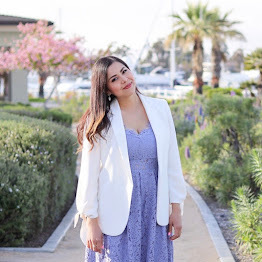 Mother's Day Shopping with Las Americas Premium Outlets + GIVEAWAY! Las Americas Premium Outlets is a great destination for one-stop shopping and when it comes to our moms, it's nice to know that they carry so many brand name stores at outlet prices. Depending on what your mom's taste is (or if you're a mom hinting at your kids/husband) there is pretty much a store for it (see their directory here). For example, if your mom loves fitness or athletic there is Nike and Adidas within the outlets and they always have good deals. For our mother-daughter date, we started at Brooks Brothers Factory Store where we were greeted with some Mother's day goodies! I saw my mom's eyes light up with the treats and the cute mom-themed details that they had on-hand which is something your moms can experience during the Mother's Day weekend at the Las Americas P.O. where they will have a fun photo booth and other activities to make your mom feel special! Brooks Brothers is known for their classics, like their No-Iron Fitted White Shirt that Oprah raves about and some other chic pieces caught my mom and I's eye (as you can see in the picture below). We even got to see a demo of the many different ways to wear a scarf and also the many varieties of scarves they have. My mom was more in need of a new handbag so we checked out Michael Kors, Tommy Hilfiger and ended up with a winner at Coach. We also so amazing deals along the way that we might go back to do non-Mother's Day shopping (and some shopping for me lol)! And now, in conjunction with Las Americas Premium Outlets I'm excited to be hosting a $100 Simon Gift Card giveaway to a special mom out there! Use the Rafflecopter below to enter where the more ways you follow, the better chance you have of winning this prize! This Giveaway will run until 11:59pm PST May 9, 2016 and is open to participants in the US only. The winner will be chosen at random using Rafflecopter's random.org, verified, and contacted via email.